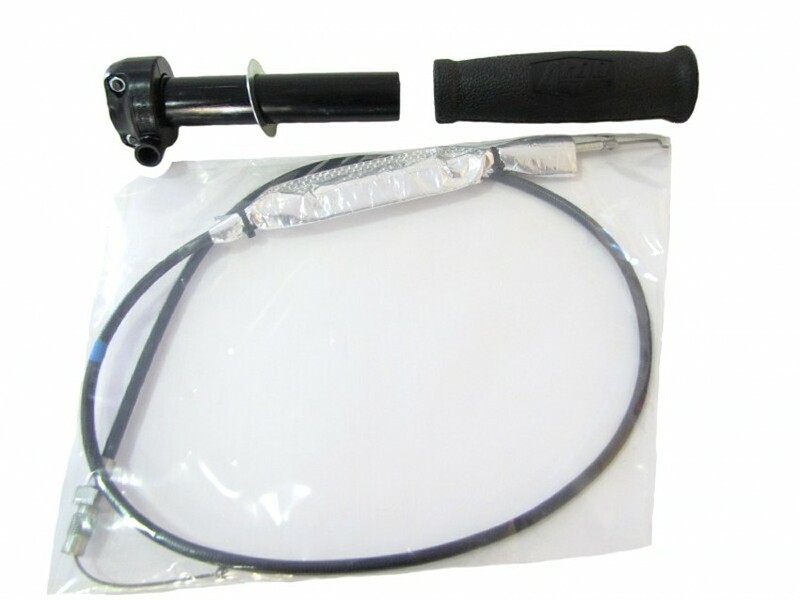 Replacement throttle twist, rubber grip, and throttle cable all in one kit. Check your manual or read below for fitment on discontinued models above. Tech Tip: Before placing the cable ball end in the throttle twist add a dab of grease to prevent the metal ball from wearing into the plastic over time causing failure. Fits all Avenger 700, Avenger 750 EFI, HD 700 and HDI 750 8X8. HDI SE from years 204-2014. Production on the 2015 models was switched to the 612-101 cable. The stock throttle cable was a 612-76. This cable is replaced by ordering a 612-101 and new throttle twist grip 127-81. The 612-76 cable is no longer available. Slight modification may be needed to get the throttle cable to fit on the throttle plate. 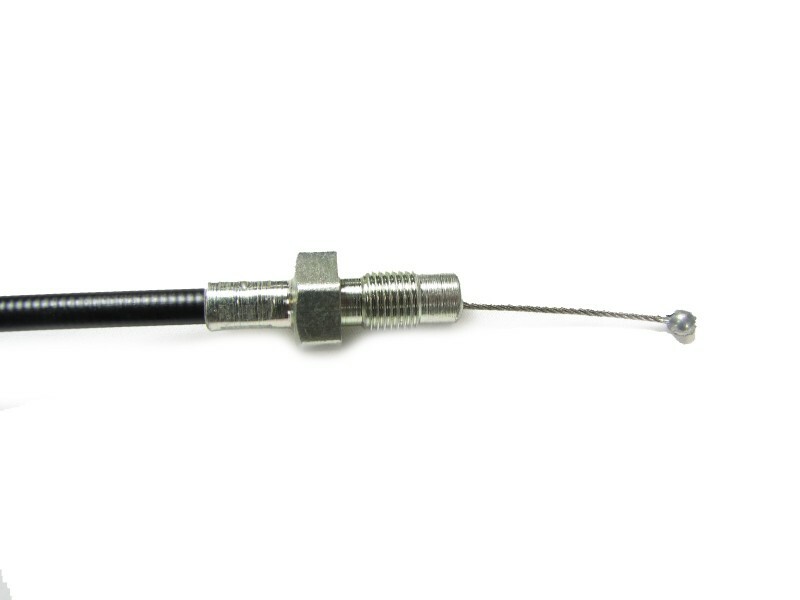 The stock cable is a 612-101 for use with throttle tube 127-81. Stock throttle cable 612-90 is replaced by throttle cable 812-28. Also requires parts 125-88 and 127-52 upgrade for the 812-28 to fit. You will use the stock 100-57 chrome throttle twist grip to install these parts. Visit part 812-28 for modification instructions. If you need to replace the throttle twist grip the new style 612-101 throttle cable and 127-81 throttle twist grip can be used, however you will need to jury rig it to work as the cable and mounting is different. If you order a 612-101 and 127-81 you do not need cable 812-28. If you can save your stock chrome throttle twist grip do so, so you don't have to jury rig the newer version cable/throttle twist grip on your vehicle. 812-28 is the stock cable for the above year. No modifications are required as long as you are using the stock 100-57 chrome throttle twist grip. If you need to replace the throttle cable and throttle twist grip can be used however you will need to jury rig it to work as the cable and mounting is different. The 100-57 chrome throttle twist grips are no longer available. Do your best to save the chrome throttle twist grip so you don't have to modify the throttle system. 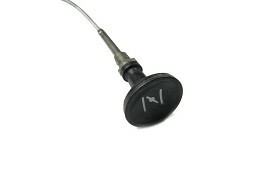 To replace throttle cable 612-76 you will need to order throttle cable 612-101 and new throttle twist grip 127-81. These parts are currently available and will bolt with little modifications needed. 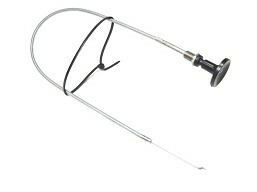 The above years use throttle cable 612-101 and plastic throttle twist grip 127-81. 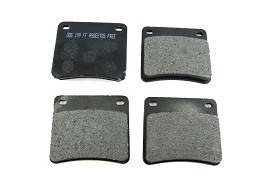 Both items are currently available and are direct replacements for the stock cable and throttle twist grip mounted on the above years. To replace throttle cable 612-93 you will need to upgrade to throttle 612-101 and throttle twist grip 127-81. The 612-101 throttle cable will not work with the stock 100-57 chrome throttle twist grip found on the response. Throttle cable 612-93 is no longer available. The stock throttle cable is a 612-101 and throttle twist grip is a 127-81. 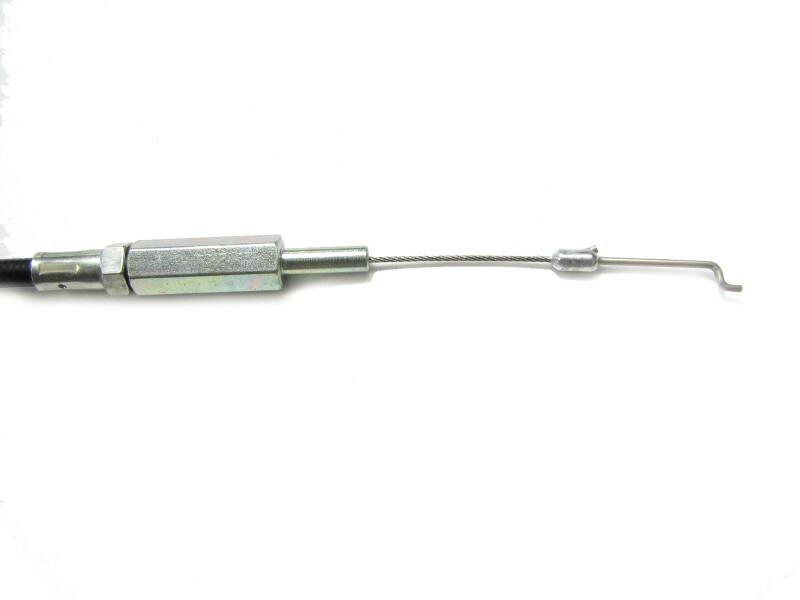 The stock throttle cable 612-89 is replaced with throttle cable 612-77. For use only with the stock 100-57 chrome throttle twist grip. Will not fir the new 127-81 plastic throttle twist grip. If you need to replace the throttle twist grip and cable you can order 612-101 and 127-81 and jury rig. 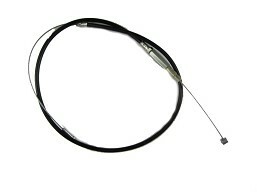 The stock cable is a 612-77 for use only with chrome 100-57 throttle twist grip. Will not fit the new 127-81 plastic throttle twist grip. If you need to replace the throttle twist grip and cable you can order 612-101 and 127-81 and jury rig. Q: Will this throttle kit work on my 2008 Argo Frontier 480 6x6? A: Yes. This will fit all models from 2000 to current production excluding the Centaur 8x8, XTD 8x8 and XTI 8x8. For models prior to 2000 read the notes listed in the description.